Mining cryptocurrencies involves a number of risks. One of them is that mining difficulty increases every day, which negatively affects ROI of any mining gear you own. Only a psychic can tell in advance how profitable a GPU or ASIC will be in, say, a month. In addition to that, cryptocurrency value fluctuates a lot. For instance, the past month Ethereum price almost halved, which made many people ponder whether they should switch to a different cryptocurrency. 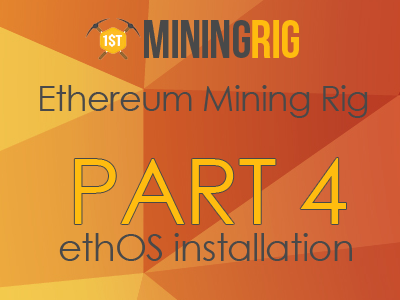 In addition to all the risks of mining, some months ago many community members became concerned about their RX 400 and 500 cards losing Ethereum hashrate. This happened because in order to mine Ethereum, cards have to process the so-called DAG file. Over time, this file increases in size, which puts additional stress on the GPUs. Once the file reaches certain size, some GPUs are no longer able to hold it within their VRAM, which renders those completely unusable for Ethereum mining. It looks like Polaris-based GPUs have some architectural issues that make them lose Ethereum hashrate in proportion to the DAG file size. The bigger the DAG file becomes, the slower Polaris GPUs mine. In my first post about the issue, little was known about the causes, and I honestly believed that we are dealing with an architectural problem, rather than a software one. However, some days ago Claymore posted that this hashrate drop is caused by BIOS flaws, and that AMD is working on a fix. Back then it was uncertain whether that was a rumor. Yesterday, Claymore confirmed that the BIOS fix was released by AMD. Once the new drivers are released, make sure to first test them on one GPU before applying them to the rest of the rig. I also kindly invite you to share your results in the comments section below! NEED HELP WITH YOUR RIG? CLICK HERE! What’s so Interesting about the New Minexcoin?